The Galloway Run/Walk/Run Training Program is open to anyone who is interested in fulfilling a lifetime goal: of running a half marathon or marathon. The training group welcomes all levels, from beginners to Boston qualifiers. Pace groups are set up to ensure a comfortable and safe training pace for every ability. We would love to have you but, if you're not certain about whether to join, email us at RunWalk13@yahoo.com. Contact Program Director John Lineberger at RunWalk13@yahoo.com. We are excited to have you Run/Walk/Run with us! Learn The Secrets To Long Distance Running! In The Wells Fargo Building #1 At 301 South College St.
You can use this program to set an 18 or 20 mile goal and hold at that level or run a Marathon. Cannot Start On May 4? Just Let Us Know When You Can! Come Out For A Free Test Run On Us! Training For All Marathons Late Sept Thru Nov 16(Charlotte), And Dec 14(Kiawah). Or Any Other Marathon From Oct To Mid Dec.
$159 for New Applicants $25 Tech Running Shirt For New Applicants Free Health Email Each Week $99 for Galloway Alumni $25 Tech Running Shirt For All Alumni Free Health Email Each Week Signing Up For The Marathon Program All Registration Is Online Copy and Paste This Link: All Registration Is Online. Copy and paste this link above! http://www.jeffgalloway.com/training-groups/list-of-cities/ Scroll Down To North Carolina & Click On "Register" Button For Charlotte Click on "Register" Box For "New" or "Alumni" For Marathon Program. If you are juggling career issues, children or family issues, or have to drive a long distance to participate in the training program, HERE IS THE SOLUTION TO YOUR DILEMMA! Once we get up in mileage, the long runs will be followed the next Saturday by a short recovery run---these short recovery runs can be done at home or on vacation. Once you get your schedule, you will know when these short runs are. If you live a considerable distance from Charlotte, you can sign up, advise us you want to be a Virtual runner, and do your training runs at your location and get all training by email. We are the only Training Program, that when the Summer heat arrives,will have tubs of ice water, with sponges, at the waterstops, so you can squeeze cold water from the sponges on your head and torso to cool off. This is a cooling delight when running in the Summer Heat !!!! Waterstops will feature Gatorade and bottled spring water--no flouride and chlorinated tap water at our waterstops!!!! Gatorade even made with Spring water! Several years ago, my 10 minute per mile Pace Team team leader could not run the April SouthPark Half Marathon---so I filled in for her. Most of the runners who ran with the 10 minute Pace Team had not done the Galloway method. The team came in 1 minute 30 seconds earlier than what the pace for 13.1 miles should have been. But here was the shocker! Two of the women had run the Southpark Half Marathon the previous year (course was the same) and bettered last years time by 21 and 22 minutes respectively!!!! All ran their best time ever and all kept saying " how is it possible to take walk breaks and still run my best time ever in this race." All kept saying at the end " If I had not just experienced this, I would swear that the time I ran was not possible." The secret to all of this was simple---they had reached the last few miles without being exhausted! They ran themselves into the ground the previous year and were absolutely exhausted. The walk breaks keep you from being exhausted and allow you to finish a marathon or half marathon much stronger! Walk breaks will be 30 seconds on many teams, about the same time as hitting a water stop during a race! 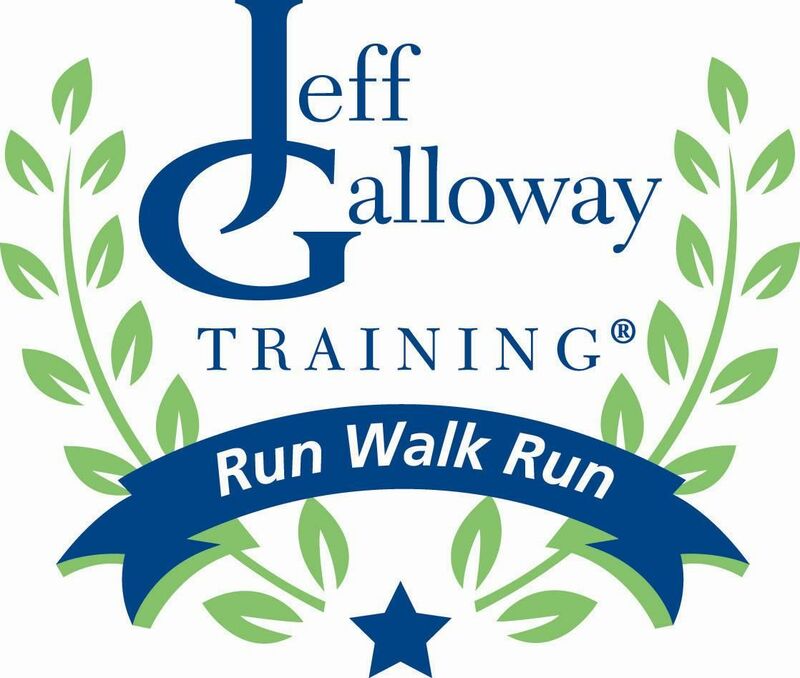 PROGRAM DETAILS:Join Charlotte's largest training program,and Charlotte's most successful training program,now in its 28th year----the Jeff Galloway Training Program! This program will have running teams for runners of all levels. The Galloway Program has helped individuals at all levels of conditioning "To Get In Shape" and train for and finish half marathons and marathons! Chase A Dream----Join us and experience the camaraderie, the fun, and the new friends of a truly outstanding National Training Program. Each week , the weekly training email will unlock the "Secrets to Long Distance Running"! These secrets will then be applied to our weekly organized run. LEARN THE SECRETS TO BEING HEALTHY! Most Marathon and Half Marathon Programs are just that--training information. This Program goes beyond that to give you the equivalent of 2 programs for the price of ONE. Each week, you will get cutting-edge health information from top Doctors and Health websites, that will give you advance knowledge of health and nutrition trends long before they appear in traditional media. We meet early each Saturday morning for our weekly organized run. We ask you to run 2 times during the week on your own. If you currently run 3 times a week during the week, that is OK too. The Uptown Childress-Klein YMCA. Directions to this "Y" are at the end of this email. This is not the "Y" on Morehead St.
We will have enough people to create teams of like speed and ability, and thus provide you with the support and camaraderie that is so needed for long distance running. We will group you by "Like Abilities" ,so that the people you are running with ,run at a similar pace as you do. You can switch teams at any time. NOTHING WILL MAKE THE LONG RUNS EASIER THAN RUNNING WITH A GROUP! By organizing you in groups by pace, you will watch unfold before your eyes, the wonderful "Magic" that occurs when you run in a group. The group will literally "pull you along" as you cultivate new friends and swap funny stories ------after all, we encourage you to have a good time on the runs because it make time go by faster and distance seem shorter! Join us and see why training is much more fun the Galloway way,and how running with a group eliminates the long ,lonely, and monotonous hours of training by yourself! YOU WILL ACCOMPLISH YOUR GOALS MUCH EASIER RUNNING WITH A GROUP! We will teach you the "Magic" of Jeff Galloway's method of adding 30 second walk breaks during the run. This allows the legs to recover and to save energy for the back half of the run where it is truly needed,and will reduce injuries you can incur doing long distance training. Those that are training for their 1st Maraathon often assume they do not need any type of walk break, and my answer to that is "Wait to you get to 20 miles -the next 6 miles will not be like any 6 miles you have ever run!" We will get together early each Saturday morning for our Weekly organized run---this will be the long run for the week and will increase in distance according to the schedule you will get.. We will ask you to run on your own at your convenience 2 times during the week for 30-45 minutes per run---these runs are the same each week.Runs during week can be what you usually do. If you are going to purchase new running shoes before the Program starts, email us at runwalk26@yahoo.com and we will email you some info on buying running shoes and special inserts you can buy for your shoes to reduce the impact of running on your knees and back. We also can arrange a 10% discount for you on running shoes and the special inserts. TRYOUT THE PROGRAMS - FREE FIRST RUN ON US: Anyone new is welcome to run a run with us at no charge, and then decide on joining the Program. ALL NEW APPLICANTS TO THE MARATHON TRAINING PROGRAM WILL RECEIVE THE FOLLOWING: - A Comprehensive Training Schedule(Schedule will request that you run twice during the week on your own and run our Group long run on Saturday) - $25 technical running shirt -Discounts at Charlotte Running Company: 10% on Shoes, Apparel, and Accessories. -Weekly Health Bulletins: Info from top Doctors with cutting edge info. Vitamin, Minerals, and Supplements info. 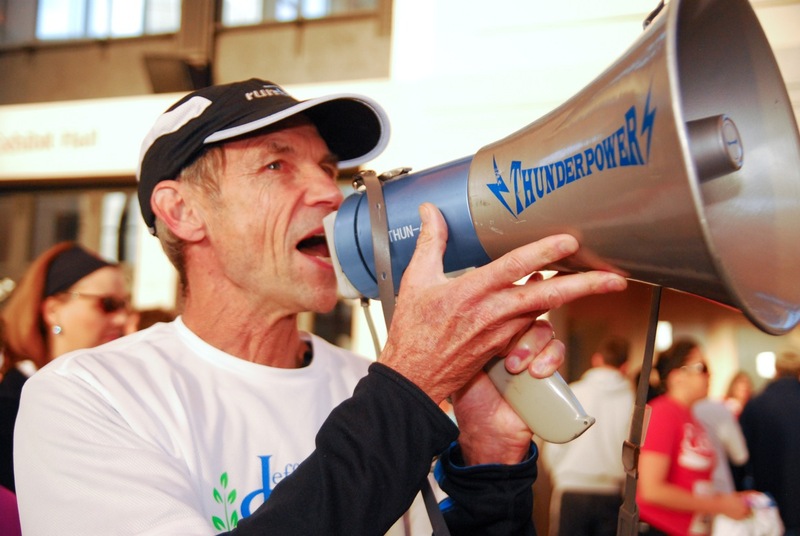 - How To Create Energy For Long Training Runs - Introduction to the new running fuels that eliminate so many of the problems associated with sugar based energy sources. - Advice on Best Shoes To Run Long Distance - Information on Electrolyte Management On Long Runs - this is critical in the Summer Heat. - How to avoid I T Band injury. -Tubs of ice water with sponges to cool off in the Summer heat! -Training With People of Like Ability--At the 1st meeting we will determine what pace you should be running. We will put you on teams with people who run your pace. However, you are not "locked in" to a team and can change pace teams as you desire. - - Weekly Emails that " Unlock the Secrets of Long Distance Running." -Weekly Organized Saturday Morning Long Runs --Specific Instruction on how to hold down injuries. -Instructors/Team Leaders running with you during training runs. -Weekly maps of the Saturday run. -Water Stops for the Saturday run. We use no Tap Water----we provide the best water of any Charlotte Running Program---- Pure Natural Spring Water. -Introduce you to the power of the running group and how you can accomplish running goals much easier with a group than you can alone. -Specific Instruction on how to achieve the energy levels necessary for long runs. -Specific Instruction on nutrition. -Specific Instruction on hot and cold weather running,and rest and recovery -You can run with other Galloway Groups if you are traveling, or at some major running events. Galloway Groups are now in 85 cities and over 8000 people were enrolled in the program last year . See jeffgalloway.com for a list of cities! MANY PEOPLE CONFUSE THE DOWD/CENTRAL YMCA ON MOREHEAD STREET WITH THE UPTOWN YMCA----WE ARE NOT AT THE MOREHEAD STREET LOCATION. UPTOWN YMCA IS THE HIGH-RISE BROWN GRANITE 40+ STORY WELLS FARGO BUILDING #1 BUILDING WITH THE ROUNDED TOP RIGHT AFTER OR BESIDE THE CHARLOTTE CONVENTION CENTER. This WELLS FARGO Building is at 301 College Street between MLK Blvd(2nd Street) and 3rd Streets-----College is a 1-way Street. Ask any Security Guard in the area which is the WELLS FARGO #1 Building. From Morehead St: Turn on to College St. Go 2 traffic signals to MLK Blvd(2nd Street).The Uptown YMCA is in the Wells Fargo #1 40+story building on the far right corner. If you are coming from North Of Charlotte or Lake Norman, take the Morehead Exit from I-77, and turn left at bottom of exit, go past the Stadium to the top of the hill, cross South Tryon St, go 1 block and turn left on College St. See College St. directions above. Parking:Arrive early,give yourself some time to park. Parking meters are free on Saturday. If parking meters have a red hood on them ,do not park there. Do not park in front of fire hydrants---big fine!!!! Best place to park is down MLK Blvd(2nd Street)--lots of on street parking a block away and more in the next block. "Y" members can park in the parking garage of the "Y' Building free for 3 hours---must get "Y" front desk to validate parking ticket issued at gate to be free parking. Entrances to parking deck off MLK Blvd(2nd Street) and 3rd Street. Take parking deck elevator to "A" level. Learn The Secrets To Long Distance Running! 2019 Galloway Spring Half Marathon Program Included With The Half Marathon Program: 2019 Health Program At No Additional Charge (Weekly Health Emails With Cutting Edge Health Information) If you have friends interested in our Marathon Training Program, have them email me at runwalk26@gmail.com Please Forward This To Facebook Friends And Business Associates That May Be Interested! Starts May 11 At 8AM , If it rains on May 11, will start on May 18 at 8AM Half Marathon Program Kick-Off Run At Uptown Childress-Klein YMCA In Wells Fargo #1 Building At 301 South College. You Do Not Have To Be A YMCA Member To Run In This Program. You can use this program to set an 7, 8, 9, or 10 mile goal, and hold at that level, to develop your long distance running ability. Most will run the Half Marathon, but it is not an absolute requirement! 10,11,12,13,14 Minutes Per Mile Training Teams Cannot Start On May 11 or 18? Let Us Know When You Can! Come Out For A Free Test Run On Us! Training For All Half Marathons Late Aug Thru Mid Sept. Popular Half Marathons - Calendar Rock & Roll Virginia Beach (Sept 1) Run and Ride 13.1 Carowinds (Early Sept) (Run & Ride Roller Coaster!!!) Marine Corp HM Camp Lejeune (Sept 14) Rock and Roll Philadelphia (Sept 15) For Other Half Marathons: See www.halfmarathons.net See www.runningintheusa.com Sign Up Fees - Half Marathon Program SPRING HALF MARATHON PROGRAM FEE: $95 for New Applicants $25 Tech Running Top Free for new Applicants Free Health Email Each Week $75 for Galloway Alumni $25 Tech Running Top Free For All Alumni Free Health Email Each Week Signing Up For The Half Marathon Program All Registration Is Online. Copy and paste this link above! MANY PEOPLE CONFUSE THE DOWD/CENTRAL YMCA ON MOREHEAD STREET WITH THE UPTOWN YMCA----WE ARE NOT AT THE MOREHEAD STREET LOCATION. UPTOWN YMCA IS THE HIGH-RISE BROWN GRANITE 40+ STORY WELLS FARGO BUILDING #1 BUILDING WITH THE ROUNDED TOP RIGHT AFTER OR BESIDE THE CHARLOTTE CONVENTION CENTER. This WELLS FARGO Building is at 301 College Street between MLK Blvd (2nd Street) and 3rd Streets-----College is a 1-way Street. Ask any Security Guard in the area which is the WELLS FARGO #1 Building. From Morehead St: Turn on to College St. Go 2 traffic signals to MLK Blvd(2nd Street).The Uptown YMCA is in the Wells Fargo #1 40+story building on the far right corner. If you are coming from North Of Charlotte or Lake Norman, take the Morehead Exit from I-77, and turn left at bottom of exit, go past the Stadium to the top of the hill, cross South Tryon St, go 1 block and turn left on College St. See College St. directions above. Parking: Arrive early, give yourself some time to park. Parking meters are free on Saturday. If parking meters have a red hood on them ,do not park there. Do not park in front of fire hydrants---big fine!!!! Best place to park is down MLK Blvd(2nd Street)--lots of on street parking a block away and more in the next block. "Y" members can park in the parking garage of the "Y' Building free for 3 hours---must get "Y" front desk to validate parking ticket issued at gate to be free parking. Entrances to parking deck off MLK Blvd(2nd Street) and 3rd Streets. Take parking deck elevator to "A" level.